Our beautifully furnished rooms are casual and comfortable. 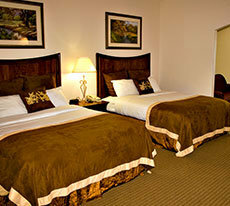 Arbor Inn and Suites offers our guests rooms that are anything but common. Rooms with an average square footage of over 495 square feet proudly using Serta Mattresses for their beddingare sure to guarantee the luxury, comfort, and enjoyment you’ve been hoping for. Leave those cookie cutter franchises and feel the independence of Arbor Inn & Suites. increased the square footage to 495 sq. ft. and adding a sofa sleeper; solving the dilemma for the family of 5. Our well appointed King Suite is a luxurious apartment style suite featuring two separate rooms and includes a complete mini-kitchen with a full size refrigerator. Our Single King Room is a standard room that caters to the overnight guest. Its size is cozy and it accommodates a business professionals needs for a large workspace. Relax in total comfort in these well-appointed rooms. 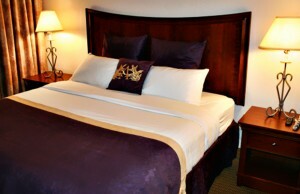 Decorated in Thomasville designer furniture, our Superior Rooms are elegantly furnished in maple. You’ll also find everything you need to do business and then relax. Choice of king, queen or twin beds. Relax in total comfort in these well-appointed rooms. We want you to become part of our extended Arbor Hotels family!